GRAMMAR-THON 2019 HAS OFFICIALLY ENDED — THANK YOU TO ALL THAT PARTICIPATED. THE WINNERS WILL BE ANNOUNCED SOON. 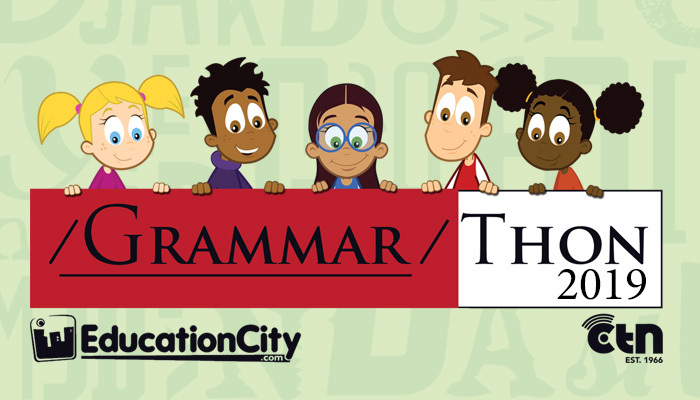 CTN is once again excited to hold the contest, Grammar-Thon 2019!! Grammar-Thon is a friendly competition between the Brooklyn and Queens schools. This event will take place on MARCH 1st, the day before Dr. Seuss’ birthday and “The Great Diocesan Read Aloud.” Students in grades K-6 will compete using their EducationCity logins. All teachers and students in the Diocese have access to an EducationCity account. If you’re not an EducationCity user, do not worry. CTN will create your login and your students’ logins based on the information provided on your registration form. Students will have one “school” day — MARCH 1st from 8 AM – 5 PM to answer questions correctly — up to 25 assignments. When the students login, they will go to the “Classwork” section and look for Grammar-Thon 2019. CTN is available to assist in the registration process and with any questions.